New York State Department of Transportation Commissioner Matthew J. Driscoll announced that 62 new tow plows will be deployed this winter to help clear state roads more efficiently and improve safety across New York State. New York State Department of Transportation Commissioner Matthew J. Driscoll announced that 62 new tow plows will be deployed this winter to help clear state roads more efficiently and improve safety across New York State. The announcement was made in a year where parts of the state have seen a historically late start to snow season. Funding for the equipment comes from Gov. Andrew M. Cuomo's NY Responds initiative. Earlier this year, Cuomo's NY Responds initiative allocated $50 million for new winter storm equipment and created a comprehensive new approach for emergency preparedness. Tow plows are attached to plow trucks, giving operators the ability to simultaneously clear two travel lanes at once. The tow plows and trained operators are part of a statewide preparedness team positioned to respond quickly and effectively to keep New Yorkers safe this winter. The plows will be deployed in every region of the state, with an emphasis on areas that are typically hit the hardest by harsh winter conditions. The strategic deployment and early training of qualified operators means DOT will be able to quickly and efficiently respond to winter weather and shift resources around the state as needed. The tow plows attach as trailers to the back of the large dump trucks traditionally used as snow plows. The tow plow can be hydraulically adjusted to swing out to the side of the truck, doubling the plow width and giving operators the ability to simultaneously clear two travel lanes at once. The tow plow offers a greater range of motion and better operator control than standard wing plows. 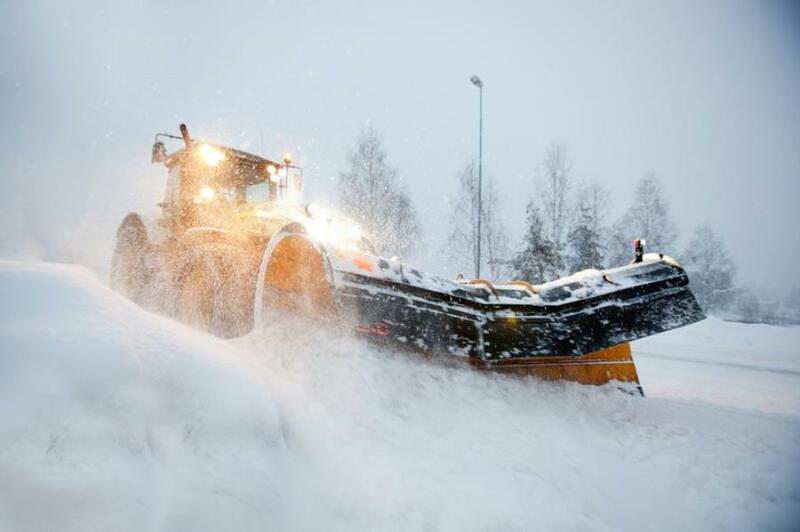 The tow plow, used in combination with a 12-ft. (3.65 m) front-mounted plow, helps clear 24 ft. (7.31 m) of road at once. Two cameras assist operators and reduce blind spots. For the safety of other vehicles on the road, tow plows have a rear lighting package that mimics the lights of the truck body. •	Increased efficiency: by allowing one plow truck operator to clear two lanes with one pass of the truck, snow removal becomes faster and more efficient. •	Improved safety: removing snow from two lanes at a time provides more clear travel lanes for motorists to use. •	Environmental benefits: it takes the same amount of fuel to plow two travel lanes with a tow plow as it does to plow one travel lane with a traditional plow. NY Responds is a comprehensive new approach for coordinating and strengthening the State's emergency preparedness. Every county in New York State will now have free access to universal emergency management software. The system will enable both local governments and state agencies to submit and share vital disaster-related information, ranging from incident reports and resource requests to real-time tracking of assets and weather conditions.